In the grand scheme of things, making an effect entertaining is more important than how many moves it takes to get to the end. 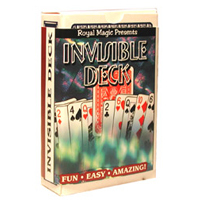 For example, a classic of magic, the “Invisible Deck” can be more magical and more mysterious than simply having a card named and found face up in the deck. Draw out the suspense, or, have a short story to tell that creates interest in either you or the journey you take your audience on to get to the end of the effect. Just doing a magic trick may get your aunt Tillie to think that you are “amazing” or grandma to believe that you are the next David Copperfield, but it will not get you the scores of admiring fans that will boost not only your ego, but your career as well. You need to own ever effect you perform. By own, I do not mean you go out and buy an effect from the “Magic Shop”. What I am saying here is that you first, learn the effect inside out. You need to know, not only the handling of the effect, but, what makes it a good effect. Once you have a mastery of the effect, change it! Yep, I said change it. 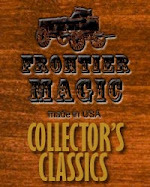 Most magic guys buy and effect or learn an effect from a book (the best way) or from a DVD. They do it the exact way it was presented. In other words, they do, verbatim; the exact effect without ever attempting to learn what makes it work. They learn the secret move, but not why the effect is so entertaining. Creating a magical event is much more than doing tricks. It is about giving the audience an experience that will last in their memory for years after. Every time they see a magician, they will remember you and that one effect where they were lost in the magical moment you created. Challenge yourself every day to take an effect or routine that you do, which may in actuality someone else’s, and make it yours.